It's been a year since the U.S. Army began researching the use of a British-built hoverbike as an autonomous delivery drone for battlefields, and it recently showed off its progress. The Army is hoping to develop the drone so that it can fly supplies to troops in combat zones, removing the need for risky ground transport missions. It boasts some impressive stats for carrying out such missions: The drone, dubbed the Joint Tactical Aerial Resupply Vehicle (JTARV) in military-speak, has four rotors, and can carry up to 300 pounds (130 kilograms) of material at speeds of up to 60 mph. The U.S. Army Research Laboratory and U.S. Marine Corps are researching the drone with Malloy Aeronautics, a British company that originally developed the drone as a hoverbike. 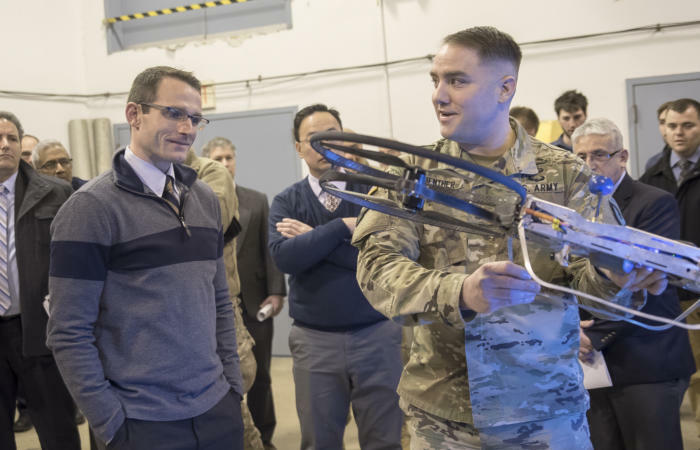 On Jan. 10, the Army demonstrated the drone to Dr. William Roper, director of the Strategic Capabilities Office at the Office of the Secretary of Defense. A prototype of the Joint Tactical Aerial Resupply Vehicle is demonstrated at the U.S. Army Research Laboratory in Aberdeen Proving Ground, Maryland, on January 10, 2017. Roper said he wanted to ensure the U.S. military was watching the commercial sector and evaluating technology, such as the hoverbike, for potential military uses. Adapting commercial technology could allow the military to dramatically shorten the development time of new projects and significantly cut costs. 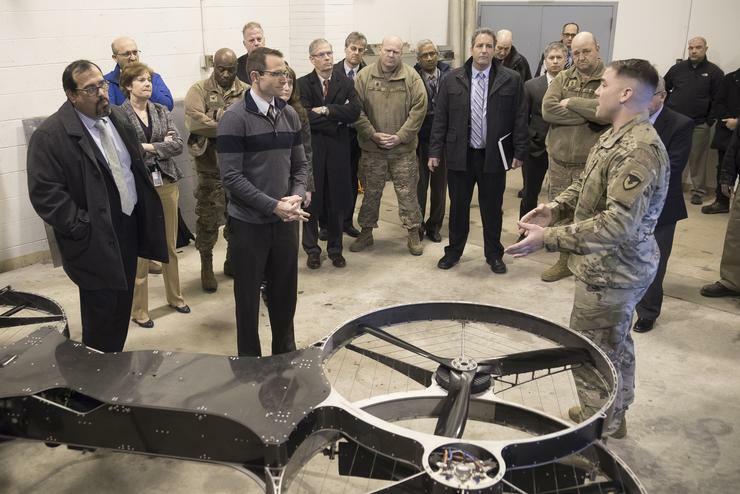 A scale model of the Joint Tactical Aerial Resupply Vehicle is demonstrated to DOD Strategic Capabilities Office Director Dr. William Roper at the U.S. Army Research Laboratory in Aberdeen Proving Ground, Maryland, on January 10, 2017. 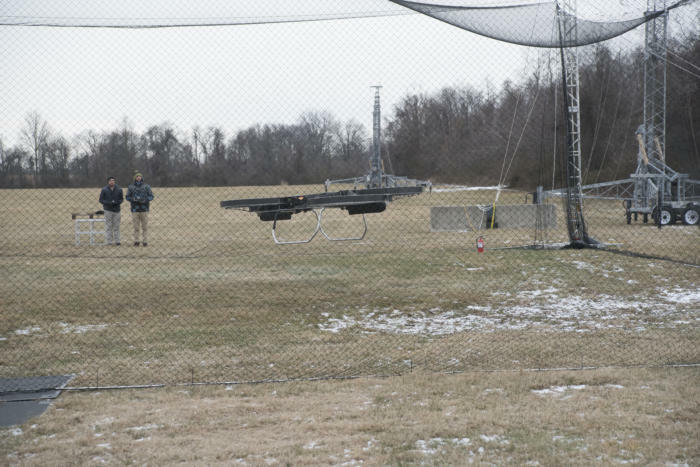 Images of the test flight, which took place at Aberdeen Proving Ground in Maryland, were released on Tuesday.